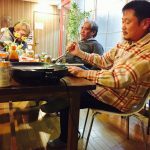 Finding a shared house in Japan can be really difficult and confusing: it’s not just about finding a nice place but there will be a lot of complicated paperwork to fill, providing many different documents, paying “key money”, deposit, signing a lease, etc. There is a different option to save you from all the trouble: stay in our hostel! 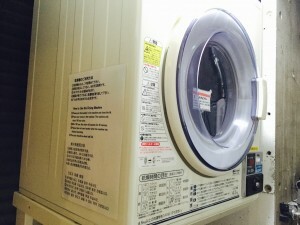 All facilities in the hostel are shared: the dormitory as well as the lounge, kitchen, shower rooms, laundry, etc. 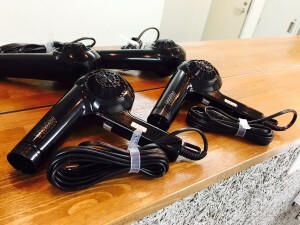 This way we can provide you the cheapest possible rate. 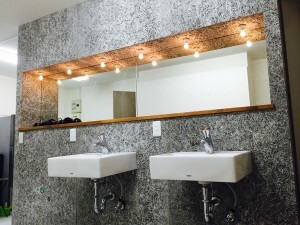 Normal hostel rates are 2,500-3,500 JPY per night depending on the date and public holidays/festivals. 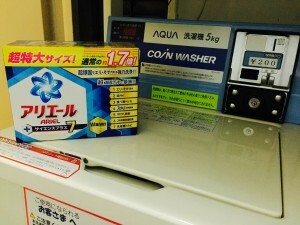 We will offer a flat rate of 2,300 JPY per night for long term guests staying more than 2 weeks. Minimum stay 2 weeks. 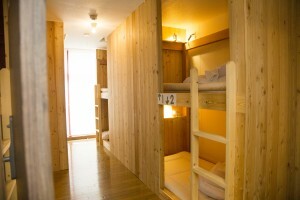 32,000 JPY per 14 nights. No maximum stay. 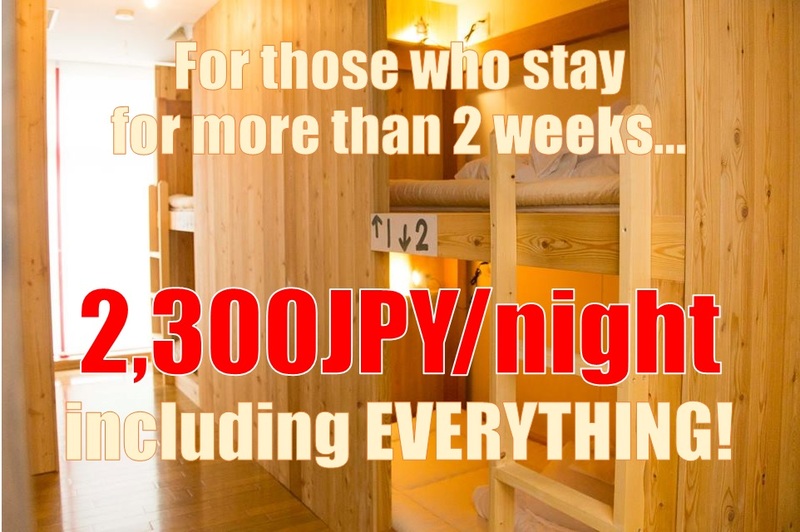 If you want to stay more than 30 days we will ask you to pay every 30 days in advance: 69,000 JPY per 30 nights. *We require to photocopy your passport and take cash payment upfront when you check-in. If you wish to pay with a credit card you can make an inquiry via our Airbnb page. *Exceptional dates when we can’t offer long term rates are: 1st of May to 10th of May and 1st of August to 20th of August. We welcome long term guests to stay but unfortunately for those dates we can’t give a discounted rate. *No extra costs: all bills and expenses are included in the price. There will be no utility expenses, ie. linen, electricity, water or gas, all free. Wi-Fi is free 24/7. All rooms are equipped with an air conditioner so you can stay comfortably all year round. Our hostel is very safe and staffed 24 hours. We have small lockers in the lounge, free of charge. Feel free to use them for your valuables when you go out or even during the night.